I am a firm believer in Can You Handlebar?‘s Initiative beard oil but when I run out (I have a lot of beard) I need a quick stop-gap to keep my mane manageable. 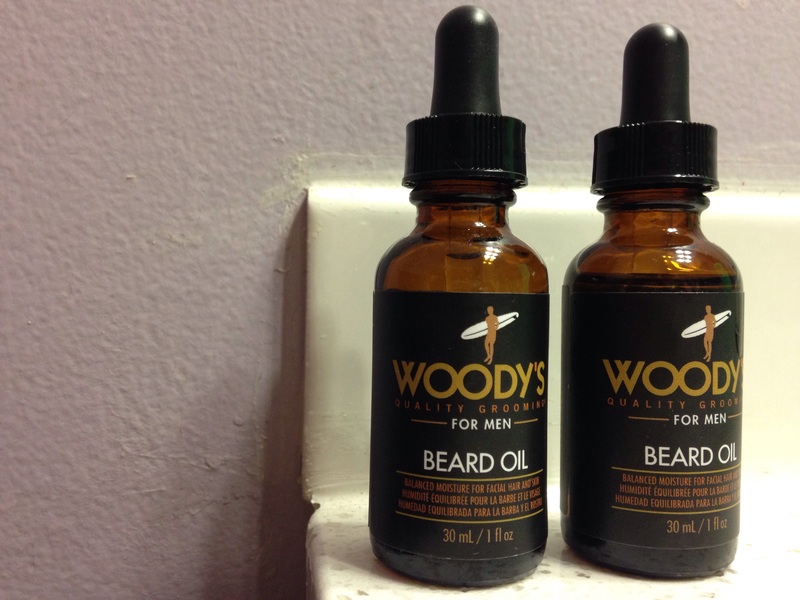 My wife, Erin, is a stylist so she picked me up some of Woody’s Beard Oil from the distributor where she gets her supplies. I have used Woody’s products before, Erin has brought me home several different shampoos, body washes and hair & body washes and all have been good products. And their beard oil isn’t bad, but… you get what you pay for. PROS: It’s smells like Fruit Loops and the dropper is easy to use. Doesn’t leave a greasy residue. Gives your beard a softer, cleaner look. More cost friendly than most other beard oils. CONS: The oil itself feels more synthetic than natural, makes your beard feel almost waxy to the touch, it starts to flake off after a few hours, doesn’t provide much sheen or shine. SUMMATION: It’s good if you’re in a pinch, but for everyday use, open your wallet and treat your beard to a higher priced, higher quality oil.